St. Martin's Griffin, 9781250116222, 320pp. 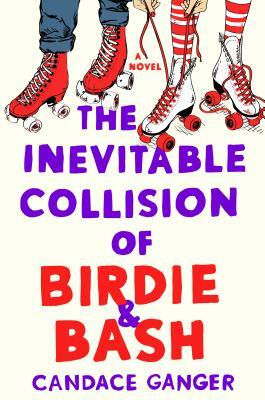 CANDACE GANGER is the author of The Inevitable Collision of Birdie & Bash as well as a contributing writer for Hello Giggles and obsessive marathoner. Aside from having past lives as a singer, nanotechnology website editor, and world’s worst vacuum sales rep, she’s also ghostwritten hundreds of projects for companies, best-selling fiction and award-winning nonfiction authors alike. Candace—aka—Candyland—has a severe Milky Way latter addiction + eats way too many donuts/doughnuts but all things in excess, amiright? FYI: She’s TOTALLY awkward in person (#sorrynotsorry). She lives in Ohio with her family.